The creation of semi-autonomous European Union (EU) agencies is arguably one of the most prominent institutional innovations at EU level in recent history. 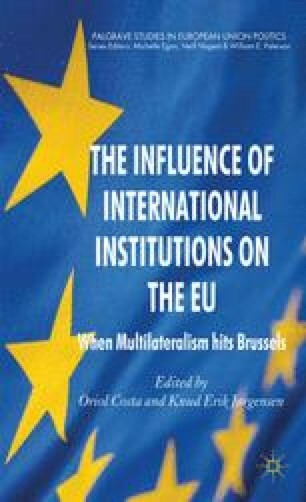 Since the early 1990s in particular, the EU and its member states have delegated a wide range of tasks to a quickly growing number of agencies. EU agencies have now become pervasive features of an emerging European executive order (Busuioc, Groenleer and Trondal, 2012; Groenleer 2009). Everson, M., Majone, G., Metcalfe, L. and Schout, A. (1999), ‘The Role of Specialised Agencies in Decentralising EU Governance’, Report Presented to the Commission, available at http://ec.europa.eu/governance/areas/group6/contribution_en.pdf, date accessed 26 April 2011.